The perfect gift for your favorite deadhead! These bad boys are super warm and super soft! 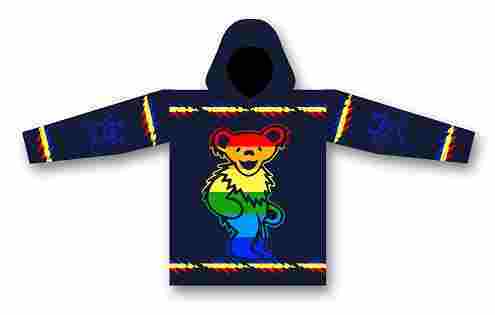 Limited edition officially licensed Grateful Dead Navy Dancing Bear alpaca style hoodie. 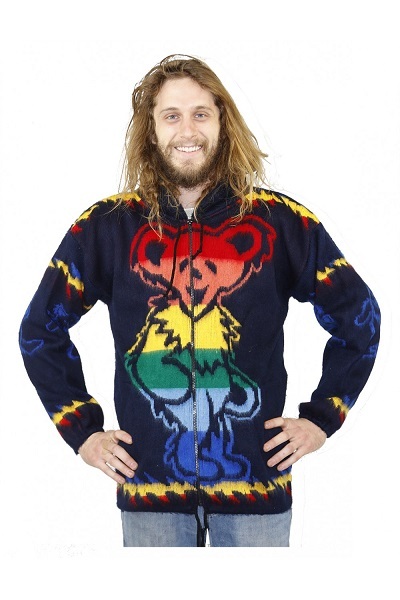 You'll be cozy, warm, and stylin' in this stealie jacket. Made from a 60/40 alpaca wool cotton blend, there is a large steal your face on the front and one on the back, as well as the 13 point lightning bolt on the sleeves. With 2 pockets, a zip up front, and a drawstring hood and waist, this Grateful Dead hoodie will be a favorite! Available in 3 different Adult sizes, M-XL. NO DISCOUNTS OR COUPONS ARE ACCEPTED ON THIS ITEM.